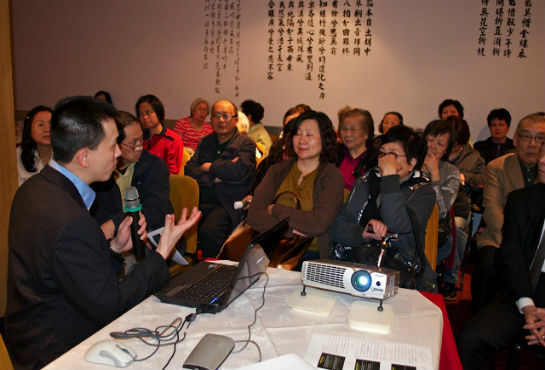 ‘ENT Cancer’ health talk on 29-03-2012, given by Dr. Lip Lee (Oncologist from the Christie Hospital) at Kwok Man Restaurant. 40 people attended the talk. 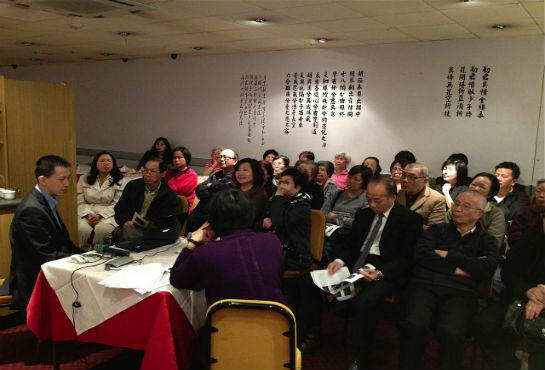 On 1st March 2012, the Chinese Health Information Centre (CHIC) hosted the talk about Coronary Heart Disease Prevention. The Nurse Operations Manager, Shirley He gave the talk. 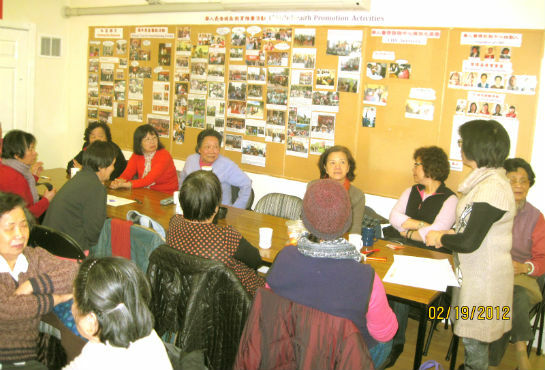 She explained the causes, signs and symptoms, prevention and treatment of coronary heart disease in Cantonese. Maintaining a balanced lifestyle and exercise were encouraged. Overall 4 people attended the talk. 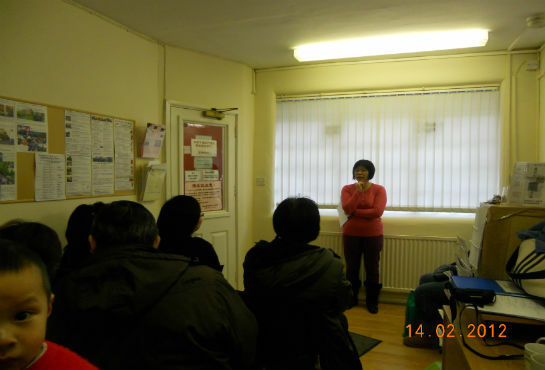 This health talk was given in Cantonese by Shirley He. She explained the causes, signs and symptoms, treatment and prevention of influenza. She explained the importance of taking plenty of rest, drinking plenty of fluids and taking appropriate medication to relieve symptoms including fever, headaches, coughs and running nose. Shirley encouraged audience to keep a healthy lifestyle and regular exercise. On 14th February 2012, CHIC hosted the “Diabetes Prevention Awareness” health talk. Shirley He, the Nurse Operations Manager gave the talk in Cantonese, she explained the common signs and symptoms. of diabetes. Maintaining a balanced lifestyle and exercise were encouraged. Free health checks were also provided. Interestingly, 3 people were found to be overweight and were advised to see their GP. 24 people attended the talk. 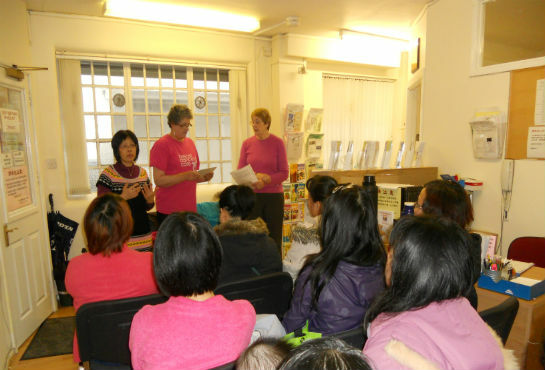 Breast Awareness’ health talk at CHIC on 11-01-2012, 11 Chinese young mothers attended. The speakers were Eleanor Taylor and Marge Pate from Breast Cancer Care Manchester. They highlighted the importance of observing any abnormal changes in the breast such as changes in size and appearance. Interpreting service was provided by Shirley He, the Nurse Operations Manager of CHIC.